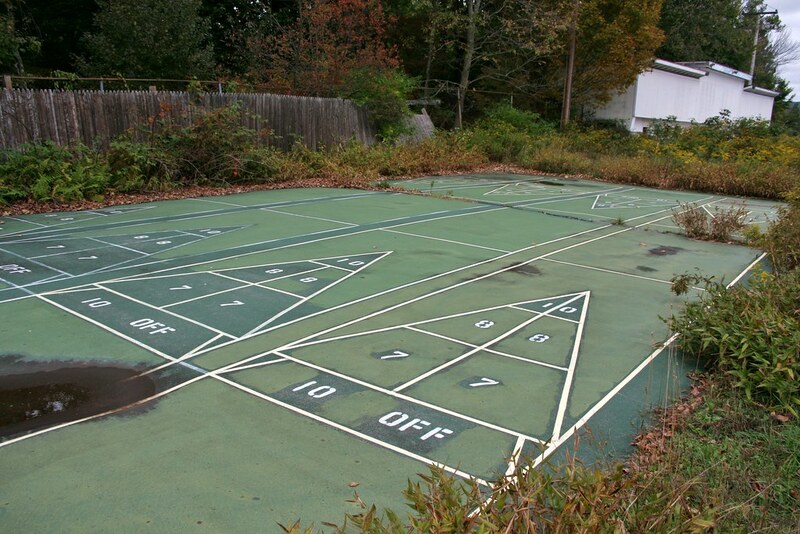 I was never a fan of outdoor shuffleboard played on paved surfaces. I much prefer wooden or tiled surfaces. So it is not that upsetting to me to see this shuffleboard court be overtaken by nature. The fact that a puddle can be seen forming behind the "10 off" zone of the middle court highlights my apprehension to paved courts: that a puddle forms indicates that the surface is uneven and certainly not flat.